While facials can certainly be incredibly relaxing and a wonderful way to ensure your skin receives the occasional deep-cleansing it benefits from, they can also be a way to address and resolve some skin issues that are bothering you. Of course, facials can be specifically designed to address certain skin issues through specific procedures or treatments, but they can also be enhanced by valuable booster treatments! 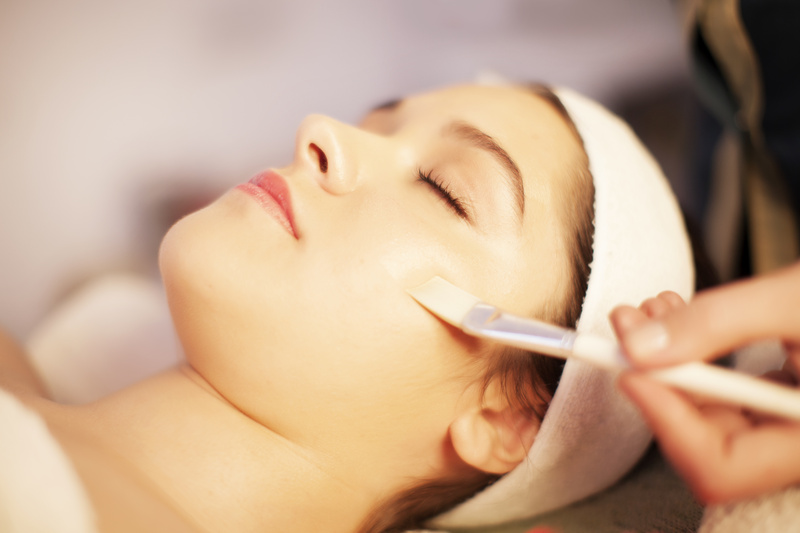 A lactic acid peel is one such booster treatment. Inhibiting excessive melanin production. Melanin is the pigment in your skin, and while it is responsible for the controlled tans we like, it is also responsible for the discoloration and dark spots we don’t like. Lactic acid can actually inhibit excessive melanin production so as to help lighten the skin and remove undesirable discolorations and dark spots. Exfoliating the skin and promoting collagen and elastin production. Lactic acid can work to remove dead skin cells from the surface of the skin, which promotes the natural collagen and elastin production that keeps skin looking firm and taut. Creating smooth and flawless skin. It is unfortunately natural for our skin to become thicker and rougher as we age, but the exfoliating properties of lactic acid can help to ensure that the thick, rough layer is removed to reveal smoother, flawless skin underneath. Allowing for better product absorption. We often spend a great deal of time, effort, and money searching for various products that we can place on our skin in order to improve its texture, health, and radiance. Unfortunately, when added to the debris, oil, and dead skin cells already coating the surface of our skin, these products are useless. Lactic acid can remove the impediments that are blocking product absorption so that one can enjoy their benefits. Lactic acid peels contain a less-irritating alpha-hydroxy acid than glycolic acid peels. Lactic acid peels work better than glycolic acid peels for individuals who have sensitive skin and is less likely to create a tingling or burning sensation. Lactic acid peels are very good for skin lightening purposes. Lactic acid peels can help with dry skin issues. Glycolic acid peels can exfoliate more deeply than lactic acid peels, which can be useful to some individuals as long as they don’t mind some increased redness as well as a tingling or burning sensation. Glycolic acid is recommended for acne skin. While understanding that lactic acid peels can be highly beneficial to your skin, it is important to also recognize that they can create problems–primarily through misuse. For example, lactic acid can cause skin peeling, redness, and irritation, even if only for a brief period of time, especially in those individuals who have sensitive skin. Furthermore, lactic acid can increase skin sensitivity and make it critically important that you are vigilant about your sun protection habits. That said, if you work with a professional aesthetician who can evaluate your specific skin care needs, they can ensure that your lactic acid peel treatments are as comfortable and beneficial to your skin as possible. They will also be able to advise you on what at-home lactic acid treatments should be used and what at-home lactic acid treatments should be avoided. There is a way to balance your skin care so you can achieve the results you want without introducing problems. And as always, we are here to help you find that balance at Botanica Day Spa! Contact us today to speak with one of our professional aestheticians to discuss adding a lactic acid peel to your next facial with us!